For many of us, Christmas and other festive celebrations can be a joyous occasion where we reunite with loved ones to celebrate, relax, unwind and enjoy each other’s company with good wine and good food in a relaxed atmosphere. Very true. There’s nothing like a family reunion to show us where we have unhealed emotional pain. Part of the challenge is that as family we can lock each other into boxes that no longer represent who we are and who we’ve become. The same old stories might get told over and over again (“When you were little you always …. [insert family story about how you were]…” – ugh). When those stories are still used as a definition of who we are, it feels restrictive and annoying because in reality we’ve moved on and grown so much since our childhood years. We’re not the same person we were back then. And as family, we often ‘trigger’ each other into our old childhood wounds. At an unconscious level, we remember painful situations that occurred in the past, how a family member behaved towards us or how they made us feel, and those experiences are imprinted in our memories such that we can find it hard to perceive them now through a different lens. And the slightest thing can trigger us back into the original pain. As a result of those past painful experiences, some of us ‘put up walls’ and create distance between each other as a means of protecting ourselves. We don’t want to put ourselves in the situation where we feel the same pain or bad feelings again, and as a consequence, we might find ourselves drifting further and further apart, to the point where we have only sporadic correspondence and know very little about each other’s lives. Then this emotional distance only makes the relationship even more difficult when we reunite. 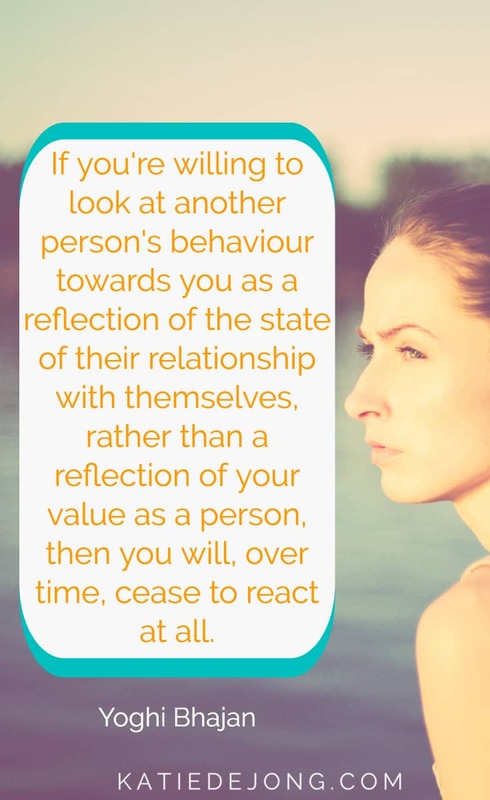 In many cases, we experience ongoing patterns of bitterness, resentment, jealousy or judgment between different family members which makes the whole situation difficult to navigate. It’s virtually impossible to have a light-hearted, flowing and joyful conversation when we have unresolved emotional pain standing in the way. It’s different with family members with whom we share a close bond; those relationships in which we talk regularly, we share the details of our lives, the ups and the downs, we reach out to each other for support and advice and we connect with each other simply for the joy of it, for the love and connection it allows us to feel. As a result of this frequent and intimate contact we really know each other. Nothing we say or do can be misinterpreted because we know each other’s motivations and intentions. 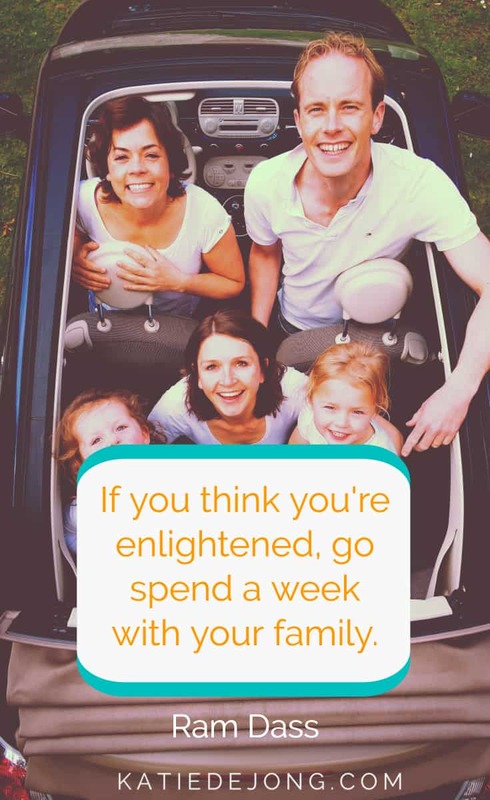 Yet one encounter in a ‘strained’ family relationship can completely knock us off-centre, through a simple off-hand statement, joke or facial expression. This can immediately (and usually unconsciously) trigger us back into our old defence and behavior patterns, confirming the other person’s opinion that we’re still the same person we were at the time of past conflicts; in this way keeping each other locked in the old behaviours that led to the conflict in the first place. 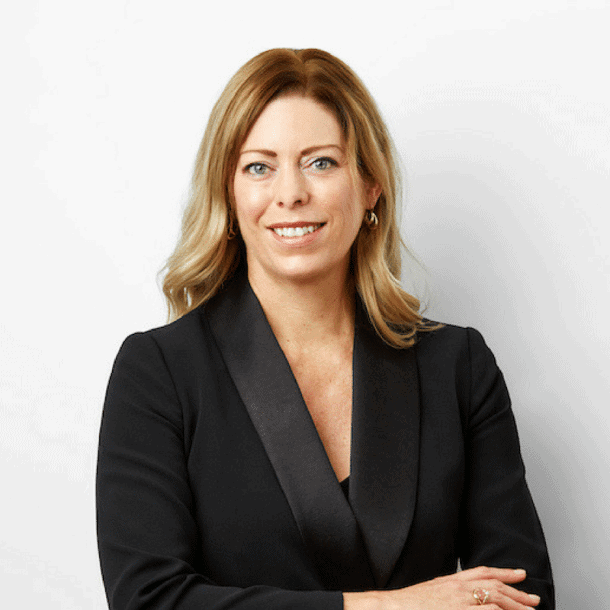 The difficulty in strained family relationships is that at the time the original wound occurred in our relationship, we felt something fundamental about ourselves that was painful – perhaps “I’m unloved”, “I’m unworthy”, “I’m misunderstood” or “I’m a bad person”. Then we perceive all future encounters with this family member through this filter, being sensitive to anything that might trigger those old feelings of separation and unworthiness, making it hard to rise above the situation and remain neutral or unaffected. It can be a vicious cycle that leaves us feeling frustrated, misunderstood and deeply sad that we can’t move beyond the old wounds to a new place of understanding and compassion for each other. So how do we gracefully navigate these strained relationships, in a way that’s beneficial to both parties, giving each other the possibility to experience a new way of being together that is kinder, more open-hearted and forgiving? Here are my three suggestions to try this Christmas. 1. Fill Yourself Up with Self-Love. The only way someone else can make you feel bad about yourself is if they trigger your own feelings of unworthiness and separation. If you know in your heart that you’re beautiful, lovable, loving, and loved, then nothing can make you feel otherwise – not even an uncomfortable family encounter. We all need to find a way to love and accept ourselves as we are – fully and wholly, including all our lovable faults, idiosyncrasies and imperfections. Only once we’re able to love ourselves unconditionally and fully, can we become immune to the triggers in uncomfortable family relationships. Unconditional love of ourselves means that nothing that anyone says or does can make us feel bad about ourselves. This pulls us out of the old cycle of engagement that creates more conflict. It becomes like ‘water off a duck’s back’. I provide more help and insight on this in my blog article Peaceful Heart: 7 Steps to Cultivate Deep and Lasting Inner Peace. Acceptance can take the pressure off the situation, making it easier for us to navigate the relationship. By acceptance, I mean accepting the fact that some relationships are as they are: difficult and challenging. And it’s OK not to have a perfect relationship with everyone in our family and life. We’re all different and we’re not going to have a close bond with everyone in our family. And perhaps it’s OK that some family members never understand or accept us. Perhaps they will never know us intimately or interpret our words or actions accurately, leaving us with the feeling that we can’t do or say anything right. Letting go of expectations that we will one day have a perfect relationship with this person might create space for a real opening and possibility for a new way of relating in the future if that’s part of our path together. And shifting our own internal expectations of the relationship can shift the relationship itself. Acceptance also means letting go of judgment about the other person, which can be difficult, but it’s also critical for creating space for improvements in the relationship. 3. Allow Yourself to Feel the Pain, and When You’re Ready, in Time – Forgive. I’ve always found forgiveness a tricky concept because too often we’re made to feel bad if we don’t forgive someone quickly and move on. But when I came across Colin Tipping’s process ‘Radical Forgiveness’, it shifted everything for me. I write all about Colin’s process in my article Struggling to Forgive? Try a Little Radical Forgiveness. Colin’s process explains that there are five steps that are necessary to move through the forgiveness process in a way that honors our own feelings, giving ample space and time to our feelings to allow ourselves the chance to heal and move forward. Genuine forgiveness is only possible once you’ve allowed yourself to truly feel the deep pain you felt and to honour and validate those feelings. It’s not healthy to ignore or attempt to sweep those painful emotions under the carpet. 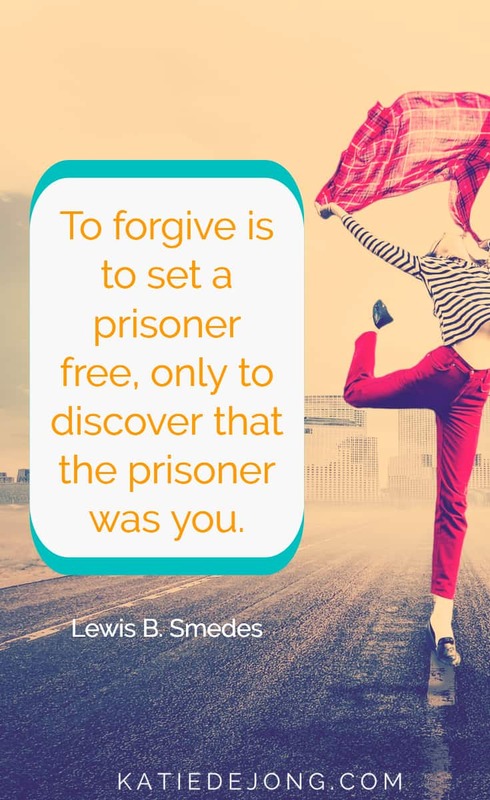 That will only lead to superficial ‘forgiveness’ and you may find yourself still harboring resentment and bitterness that continues to harm the relationship. Colin’s process also introduces the suggestion that perhaps this strained relationship has appeared in your life to help you heal a certain part of yourself or to grow somehow. Colin has designed specificForgiveness Processes for healing rifts with siblings and parents which I can highly recommend (this is an ongoing process for me). If you still find yourself struggling after trying all of the above, perhaps it’s time to start implementing some healthy boundaries with the person you have difficulty with. I discuss how to do this effectively in my article Open Heart, Big Fence: 5 Ways to Maintain Strong and Healthy Boundaries in Life. And finally, realise that you’re not alone with this. 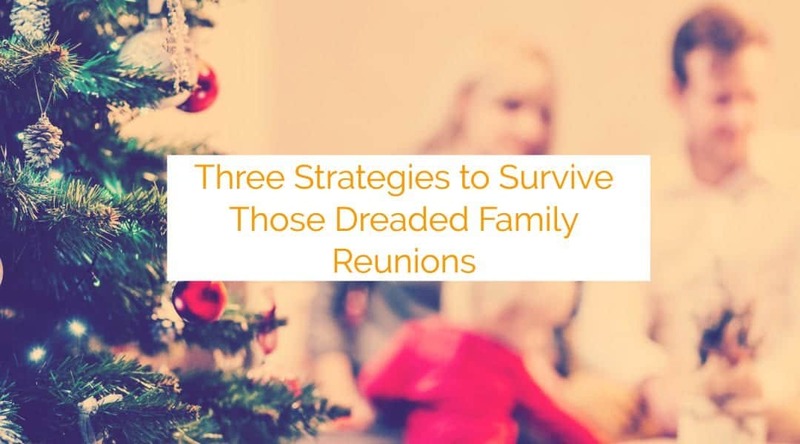 So many of us struggle with the pain of unresolved conflicts which all resurface at family reunions, often leaving us feeling disempowered and at a loss to know how to move forward so that we can look forward to these reunions with joy. If you have any success with the tips above please let me know, I’d love to hear! I’m with you on this one, working hard to make Christmas a more loving and joyful occasion.